The Adventures of Sgt. Astronaut! I was supposed to make another of these, but I never did. Maybe eventually. Amateur professional; cartoon contortionist; writer of wrongs; quote collector; distributor of profound nonsense. 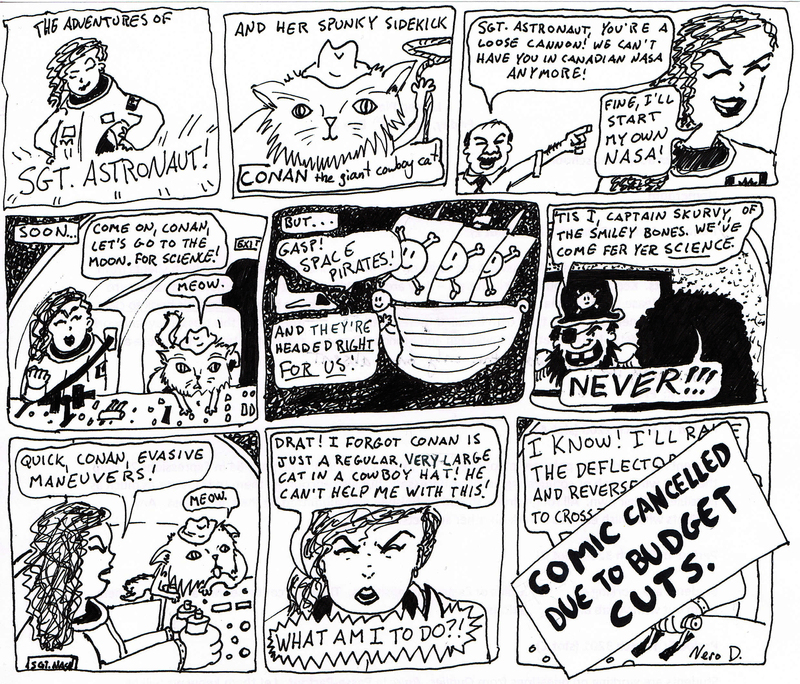 This entry was posted in Archives, Today and tagged astronaut, cat, comic, comics, cowboys, funny, pirates, sgt. astronaut, space. Bookmark the permalink. 1 Response to The Adventures of Sgt. Astronaut!